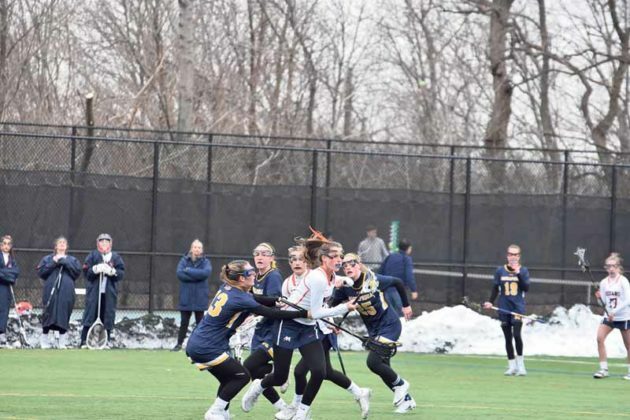 It was a Class A match-up on Tuesday, March 27, when the Manhasset High School Girls Varsity lacrosse team beat the Massapequa Chiefs by a score of 11-8. 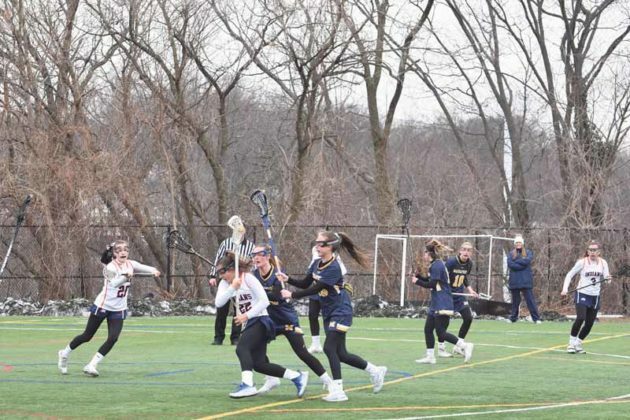 Massapequa,the defending Nassau County Champions, were soundly defeated by the Manhasset Indians who were on their game on Tuesday night. 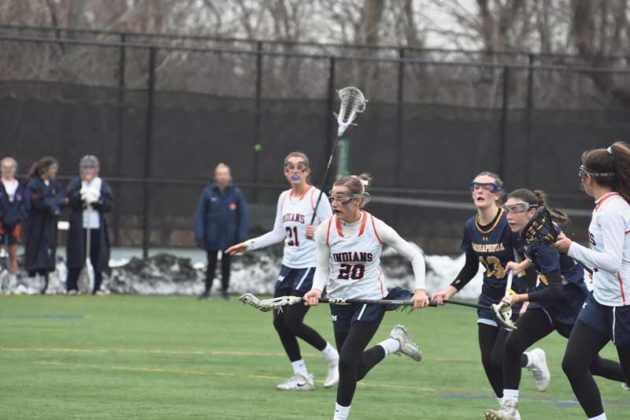 Seven girls scored on behalf of Manhasset, including junior Kelly Trotta, who tallied three goals, senior Maggie Beresheim, who scored two goals in the game, Grace Gately shot two goals, Paige Accurso, Garcia, Casey Rosko and Yun each scoring one. Outstanding defense with six saves by goalie Krissy Kowalski. 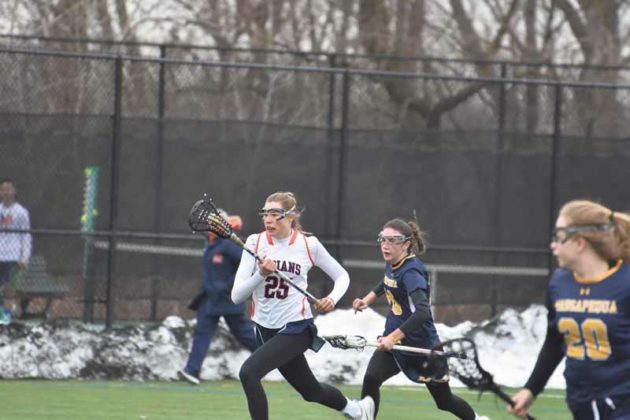 With one of Manhasset’s best attackers, senior Madison Rielly, injured on March 23 against Long Beach, the team had to work together and spread out to work the ball faster. 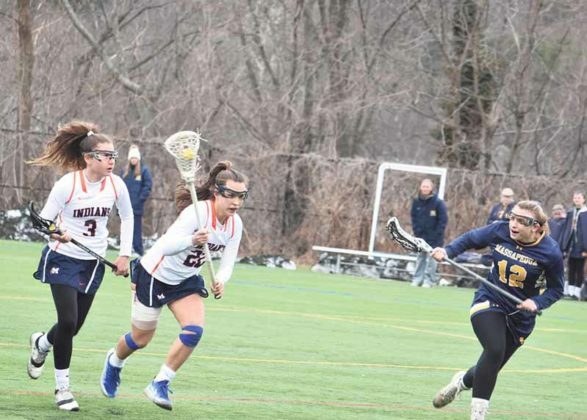 Manhasset Girls coach Danielle Gallagher has created a team with depth so that even with an injury the team has opportunity to win. The win makes Manhasset standings 2-1 and Massapequa 1-1. 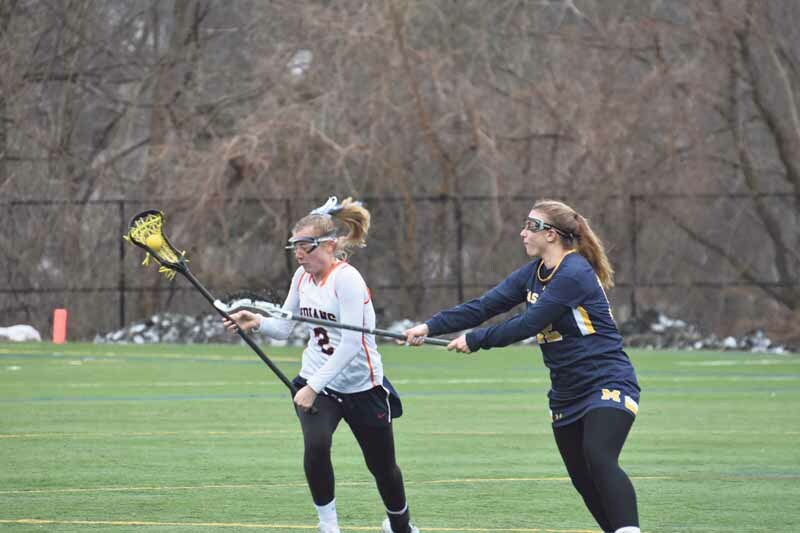 The next girls varsity lacrosse game is on April 11 at 4:30 p.m. at Port Washington High School.